Most divers and swimmers will have practiced freediving at some time. Everytime you go underwater whilst holding your breath, you are freediving. Freediving is the sport of breath hold diving in which the freediver descends under water on a single breath of air. 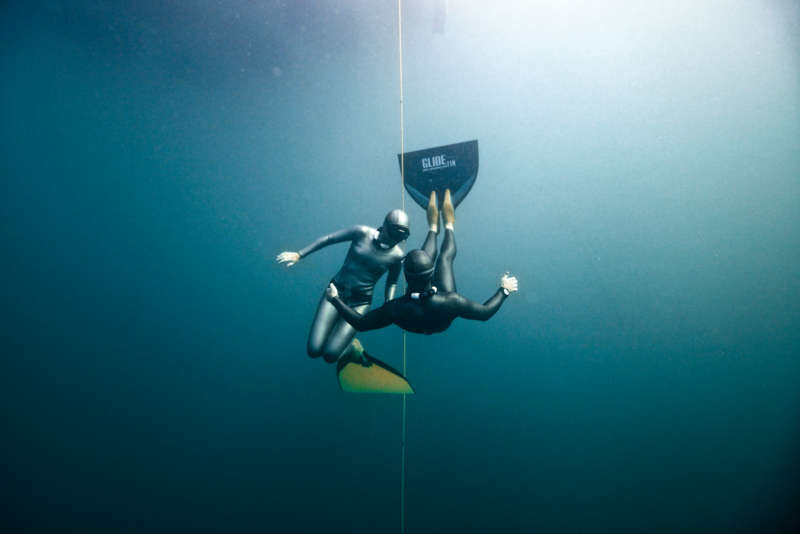 Freediving includes leisure activities such as spearfishing and snorkelling as well as competitive disciplines: Constant Weight, Free Immersion, Variable Weight, No Limits, Dynamic and Static Apnea. Freediving has many benefits and can be compared to a martial art. It promotes increased lung capacity, deeper levels of awareness and perception and control over your body. There are many different reasons why people freedive. For some, it is the freedom to explore the underwater realm without bulky scuba equipment. For others, it is exploring their potential for breathold (apnea) and depth. Whatever the reason, it is important that freedivers understand the risks and take appropriate steps to reduce those risks. This is one of the main reasons why the British Freediving Association exists – to promote safe freediving. If you are interested in learning to freedive safely, the BFA recommends that you take an AIDA freediving course. A list of AIDA instructors can be found in the Education section of our website. Remember that you should never freedive without an experienced buddy with you at all times. Failing to freedive safely can have serious consequences, including permanent injury and death. We strongly urge anyone interested in freediving to undertake a course with a qualified instructor. By doing this you will learn to freedive safely. Never freedive alone or without experienced safety cover. A lifeguard by the side of the pool or an inexperienced friend is not safety cover. Due to the risks involved, we recommend that children and minors (aged under 18) who wish to start on the ladder towards becoming freedivers, contact the BSAC Snorkelling Club, or PADI Discover Snorkelling.